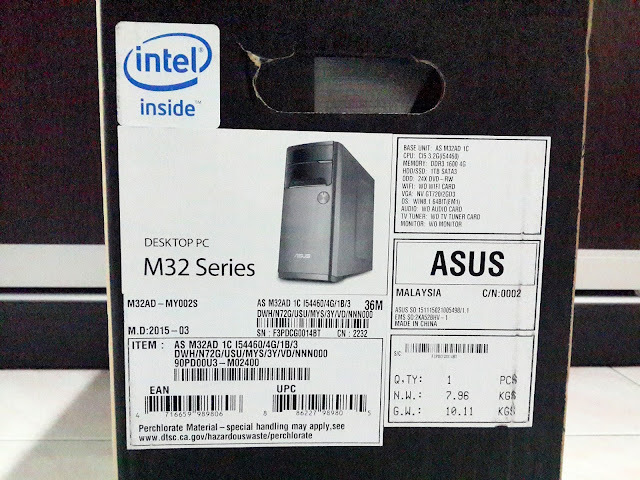 How I Got a Free Asus M32AD PC For FREE!! Well... I didn't actually get it for free. Let's start at the beginning. It was a couple of months ago, or was it several? My significant other showed me a couple of posts from the ASUS Malaysia Facebook page and one of them was this one here. 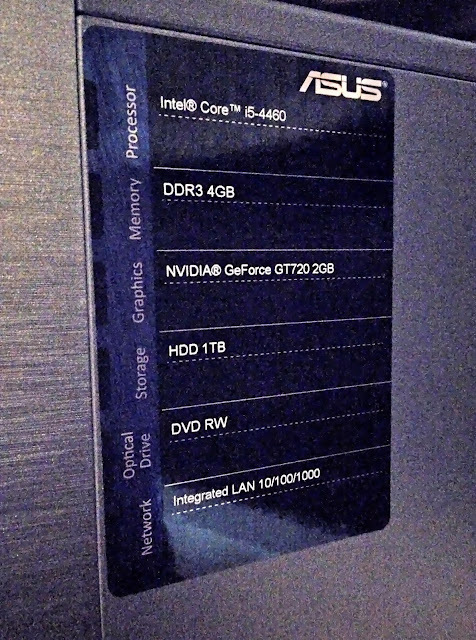 The other was on the Asus Republic of Gamers Malaysia Facebook page which was for an Asus VivoPC and I think there was another one which was either for a laptop or a tablet of some sort I can't remember. So the contest rolled around soon after they posted that picture up there and they posted this picture down here. At the time my old PC had just recently decided that it could no longer work in this high tech world and committed suicide. so I had no desktop just my laptop which was also really old. That one died too not much later. Now I'm using a loaner which is also quite old but not as old as my old one. But I digress. Anyway, since it was an opportunity to get a free PC, I thought why not give it a try. So I wrote up a few answers all within the requirement of, not more that 15 words. I wrote up quite a few I think and then gave my significant other first pick at what she'd like to use and then I'd use whatever's left over. So we put in a couple of entries each I think and waited. A few months pass and no word so we assumed that we weren't one of the lucky ones but then one fine day out of the blue she decides to check her facebook messenger inbox and out of the blue check the spam folder as well and wouldn't you know it there's a message from Asus saying that she'd won. But here's the rub they sent it almost two weeks earlier. Not only that but they'd sent another message a few days after the first message. So instead of throwing in the towel and assuming that they'd passed on the prize to the next winner and of course knowing that there were other winners in the same predicament we emailed them explaining why we didn't receive their message. 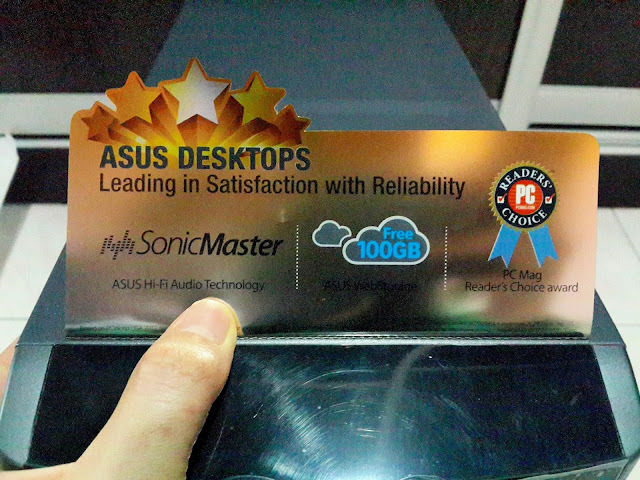 I'm guessing Asus received quite a few emails based on the same sort of messages we read on the contest page for it. Apparently all of their notifications to the winners went straight to the spam/other folder in Facebook's messenger/email service and since no one is in the habit of checking those folders everyday a lot of the winners didn't know they'd won. Anyway, we emailed them with our explanation, they had emailed us a week or so before the Eid or Hari Raya Holidays and we'd been out of town and in Sabah at the moment. We waited for a reply but received nothing. 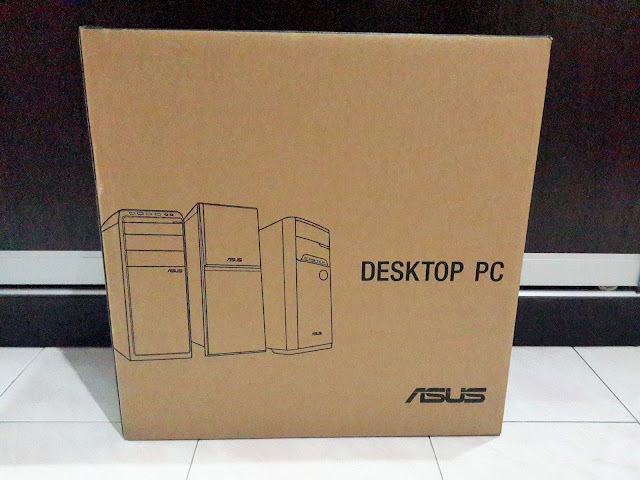 So we again assumed that they'd given the prize to the next winner then a little over a week later we received an email from Asus saying that our prize was waiting for us and all we had to do was tell them when we'd be able to pick it up at their offices at Menara Keck Seng which was right smack in the middle of busy KL and right in front of Pavillion Kuala Lumpur. We had to email them at least a day before we would come by to pick it up. So we emailed them about two days before we were going to pick it up just to make sure that they'd know. We waited for their reply but again got no confirmation of whether we could come by that day to pick it up. Pick up day rolled up and still no confirmation email so we decided to just pop on by their offices and see whether we can pick it up. We tried to call them all afternoon to inform them that we were on the way but no one picked up the phone either. So we headed into KL around mid afternoon and while I waited in the car, just in case we couldn't pick it up we could just drive off without paying for parking, my significant other went up to their office to get her prize. Ten minutes pass and I didn't hear anything then a message comes into Whatsapp saying she's got the prize and was waiting for me at the lobby. So I drive round and pick her and the prize up. Which you have to admit isn't all that bad considering the price it starts from, in the US prices start from around USD$700 and goes up pretty fast the higher the spec goes while in Malaysia one site listed the price at around RM$2,200. Now if you run the price through the current exchange rate this means that if you had bought one through Amazon or some other site you'll have to fork out no less than RM$3,000 whereas if you had American dollars you'll be spending a little under USD$500. Crazy, right? So you can be sure that I was very, very happy that we won. Now on to the actual specs of the machine I got. So on to the unboxing pics. So this is the box it came in. Simple brown card box with some graphics. And this is the label tag on the side identifying what's inside. This is the first little box that was inside. 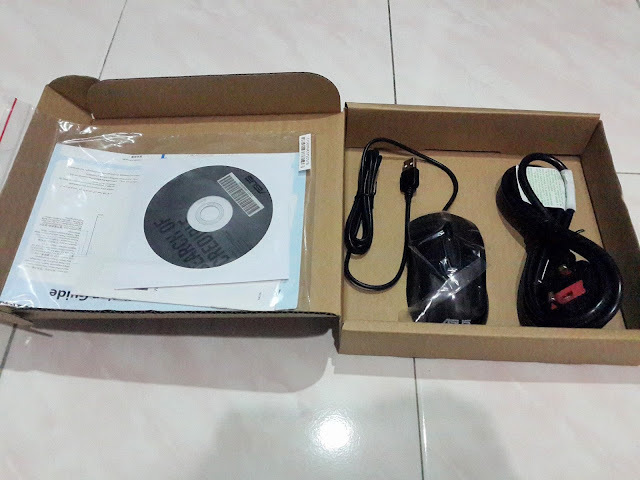 Installer CDs, a power cord and the included Asus mouse. 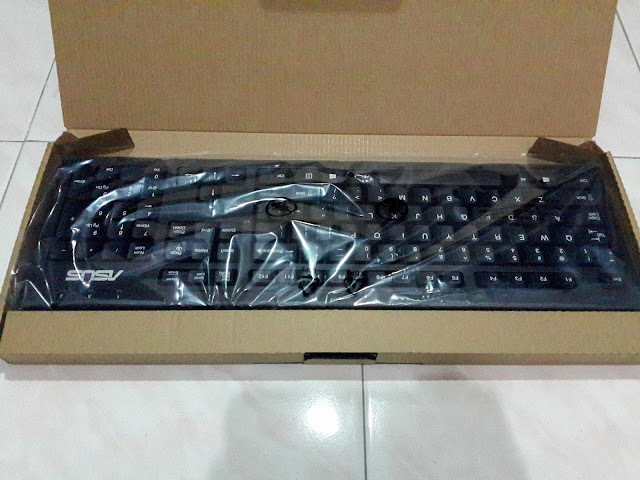 The second box in the big box and it's the included keyboard. A little close-up of the tag that's on the top of the tower. Another label that's on the side telling us what's inside. And here's everything that'll be used that's in the box. So those are the pics of the things that are in the box. At the back of the tower unit are sockets, plugs and jacks for the usual stuff that you'll connect to make things work, go, to input things and to output sound and video. Now I'm a little of a computer geek or was it nerd, so when we got home and unboxed it the first thing I did was go through the whole system and see what I needed and didn't need and also to update windows. So I uninstalled a couple of things and installed some other things that would make my browsing the net just the way I like it, also some security stuff to make sure that nothing nasty can sneak into my system. And of course updated Windows to Windows 10 since they were offering it for free. All that took a while but it wasn't hard nor did it take that long thanks to my fast connection and the fact that the M32AD has a snappy Quad Core Intel Core i5-4460 clocked at 3.20Ghz as well as 4Gb of DDR3 1600 RAM. So things get done pretty fast. The only slow thing was of course downloading well over 2Gb of installation files for Windows 10 and of course the many, many steps of installation which thankfully was all automated. Now I've been living with the M32AD for about a week as well as with Windows 10, now prior to this I had been using Windows 7 and had only occasional exposure to Windows 8 so I can't say how it compares to it. With regards to how it compares to Windows 7 though I have to say I like it. The menu system is easy to navigate since the Start Menu button is back and although some of the items and labels have been changed they're pretty easy to understand. And now that it syncs to your outlook account as well as plays very nice with gmail everything syncs up pretty nicely. All my email account can be read in the email app and all my calendar events show up in the calendar. I'm still learning all the other tips and tricks but what I'm experiencing so far has been a positive. In terms of speed everything seems to be fast but that's probably helped by having so much RAM. In terms of surfing, same thing to report since a lot the things you see on your browser needs to be cached in memory and if you don't have enough that's when you feel your surfing is a little sluggish. It's not always the connection that's to blame. On to video. Video streaming is good since I do have a 20Mbps connection and there is no glut between the connection, the memory and the GPU which on it's own has 2Gb of RAM. I have tried to watch some high-res videos which I downloaded off 4ksamples.com and I am happy to report that they play smoothly without any hitches or lags when skipping through the videos. I haven't look into the gaming aspect yet so I can't speak about that but according to reviews it's a mid-range set-up so it'll handle most games albeit in the middle to low settings. I used to be a PC gamer but now I just play on my smartphone so this doesn't bother me much. As long as I can watch what I want to watch without hiccups I'm happy. As for the sound it's got a built in soundcard which comes from Realtek and you control in through the Realtek HD Audio Manager software which gives you a few environment presets and equalizer presets as well or you can tweak the equalizer to get it the way you like. I'm not really set-up for sound. I just have some small speakers and from what comes out of it it seems to be doing a decent job. Maybe if I get some good speakers and set it up for surround sound it'll sound a lot better. But I'm happy with what I'm hearing. So there you have it how I and my lovely wife won a free PC from ASUS, what we had to go through to eventually get it, what I with it when we got it home and what it's been like living with it and the new Windows 10. 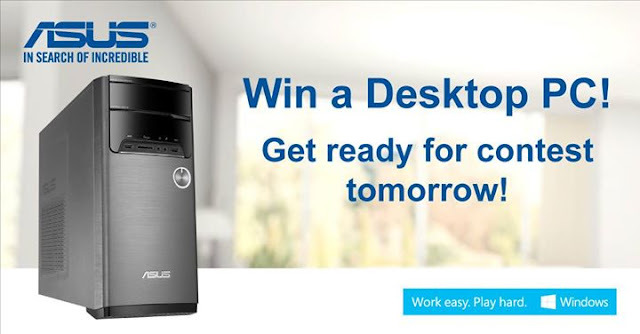 I know it would seem that we had to go through a few hiccups in getting the PC but I'm guessing the folks over at Asus are learning from their mistake when it comes to Facebook contests and how to let the winners know and how to eventually get the prizes to them. But in terms of their hardware I have no complaints so far. I forgot to mention that I've been using an Asus router for the past 6 months since and I've had no complaints for it either, it's easy to configure and get started using it. 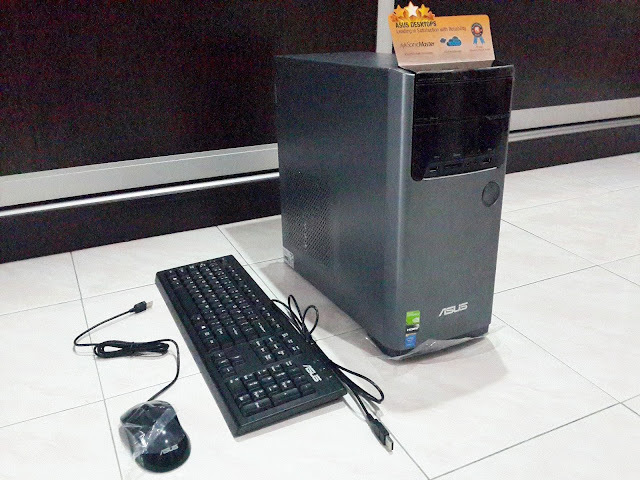 I've got the Asus RT-N12D1. In fact I've heard good reports from my other friends who've had Asus products as well and I do like the way their laptops look so maybe that'll be my next Asus purchase. 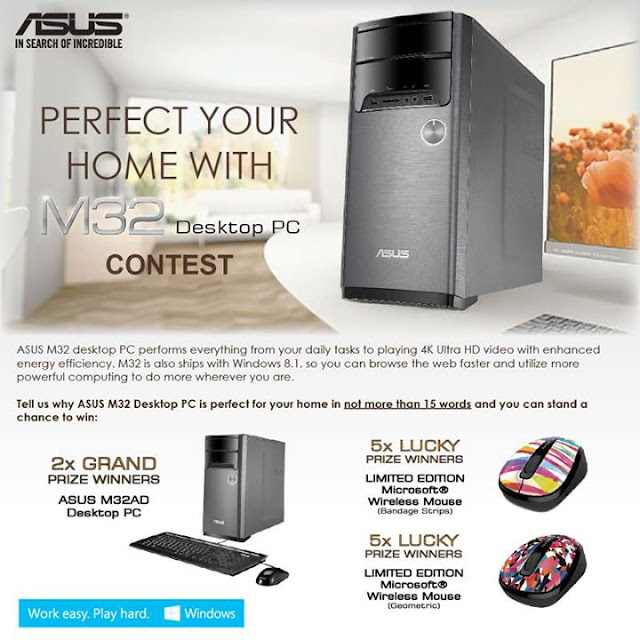 Unless of course Asus has a contest giving away a laptop or if Asus is kind enough to just gift me one. One can always hope and dream, right? 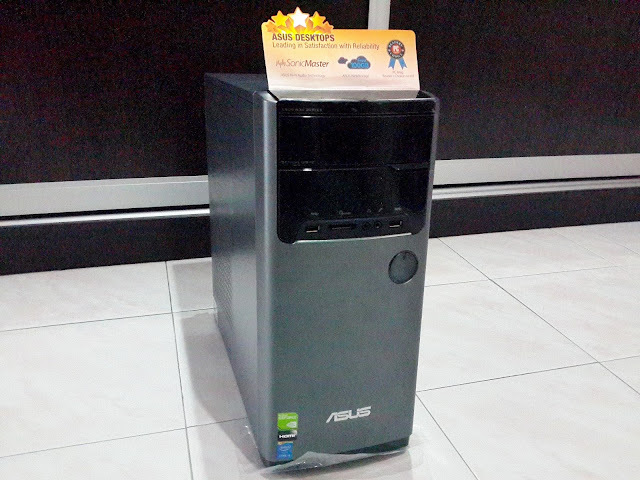 Anyway, a very BIG THANK YOU to ASUS Malaysia for picking one of our many entries as the Grand Prize Winner! Now we have a pretty awesome PC because of you guys!